JERUSALEM (JTA) — Israel attacked two Hamas sites in Gaza that its military identified as “terrorist infrastructure” in retaliation for a rocket strike on the southern Israeli city of Sderot from the coastal strip. The rocket, which was launched on Sunday afternoon, caused no damage or injuries. It landed near the city’s train station and Sapir College. The Popular Front for the Liberation of Palestine claimed responsibility, according to reports. One of the responses on northern Gaza came from the Air Force and the second from a tank, according to the Israel Defense Forces. The Palestinian Maan news agency identified the Israeli target as a military training ground. A 20-year-old Palestinian man was injured in the tank shelling. The Code Red warning siren went off in Sderot, a city of some 20,000 and a frequent target of Gaza rockets, as well as several other communities bordering Gaza before the rocket struck. 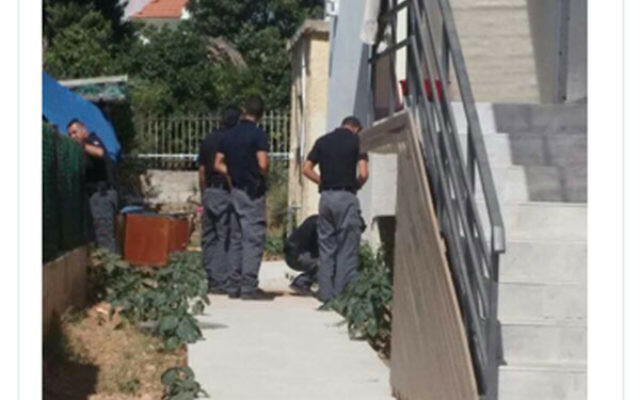 A rocket fired from Gaza on July 1 struck a preschool in Sderot, which was empty at the time. Fourteen rockets have been fired into Israel from Gaza in 2016, according to the IDF.